An illustration claiming to show the design of Apple's next-generation flagship "iPhone 8" includes features and measurements consistent with earlier leaks, most notably a circular space centered on the back of the device that could be the home button and Touch ID fingerprint sensor. 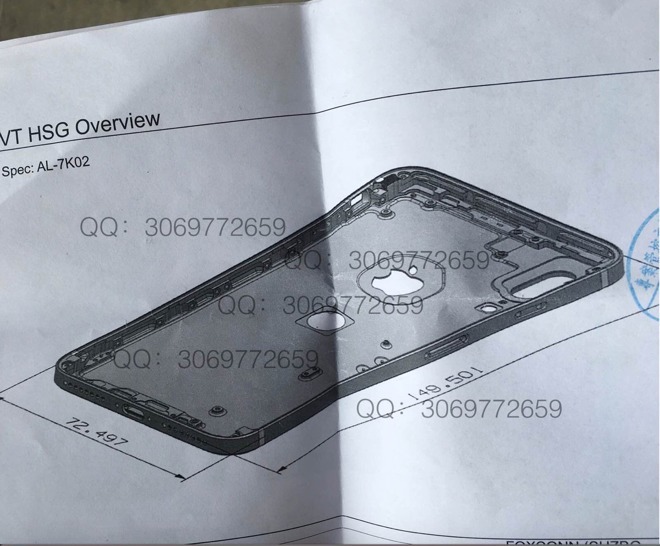 Whether legitimate or bogus, the image shared by Sonny Dickson on Wednesday shows an aluminum chassis featuring a home button cutout beneath the Apple logo on the back of the device. Like other purported "iPhone 8" leaks, it also has a vertical camera design, a change from the horizontal two-camera system found on the iPhone 7 Plus. Notably, the measurements on the latest schematic are identical to a separate, questionable image that leaked last week. It is unclear whether the images are forgeries potentially based on one another, or if they are legitimate leaks from Apple's supply chain. Even if the images are authentic, it's possible they represent a design that Apple will not release to the public. Multiple reports have indicated that the company is still testing a handful of potential designs ahead of an anticipated September product unveiling. Specifically, some prototypes have glass backs while at least one design —which could be the one pictured in Wednesday's leak —has an iPhone 7-style aluminum back. 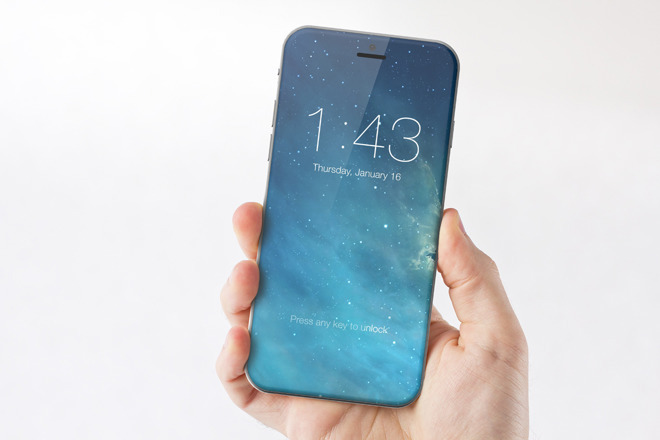 Rumors have suggested Apple is having trouble integrating fingerprint sensing capabilities into the "iPhone 8" display. That has led to speculation, backed by some leaks, that the Touch ID fingerprint sensor could move to the back of the device, allowing an edge-to-edge screen on the front of the handset. Moving Touch ID to the back of the handset would be a highly unexpected move from Apple, a company that prides itself in intuitiveness and ease of use. Considering how integral Touch ID has become to the iPhone experience, including secure logins and Apple Pay authorization, such a major change to the iPhone interface would undoubtedly cause consternation among company diehards. Still, technical limitations are also to be considered —an issue that Samsung had to contend with in designing its new flagship Galaxy S8. Samsung was unable to integrate a fingerprint sensor into the device's edge-to-edge display, and ultimately chose to place it next to the camera on the back of the device, which early reviews have found to be inconvenient and confusing. Apple has paved the way for a virtual home button with the iPhone 7 —it already features a home button that does not click, instead emulating the sensation of a click with the proprietary Taptic Engine. As for the vertical camera, it has been speculated that rearranging the lenses could allow for better use of augmented reality and virtual reality applications. When held in landscape mode, the cameras would be side-by-side, allowing for depth perception and 3D imagery matching the orientation of the user's own eyes. Apple is expected to launch three new iPhones this year, with the high-end so-called "iPhone 8" said to be a premium-priced 10th anniversary model with a number of new technologies, including a large OLED display.